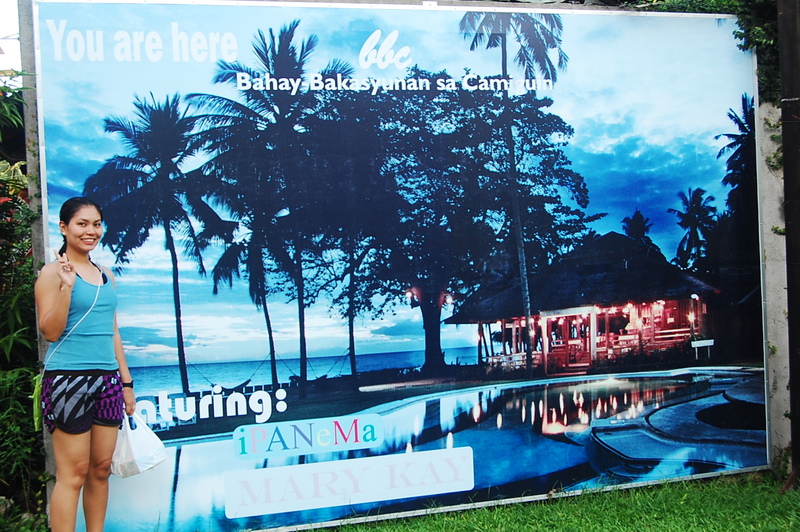 The great thing about Bahay Bakasyunan sa Camiguin was their remarkable customer service. Being months away from our actual stay in BBC, Sir Neil (who took care of all of our needs) was already hands-on in helping coordinate our entire trip. 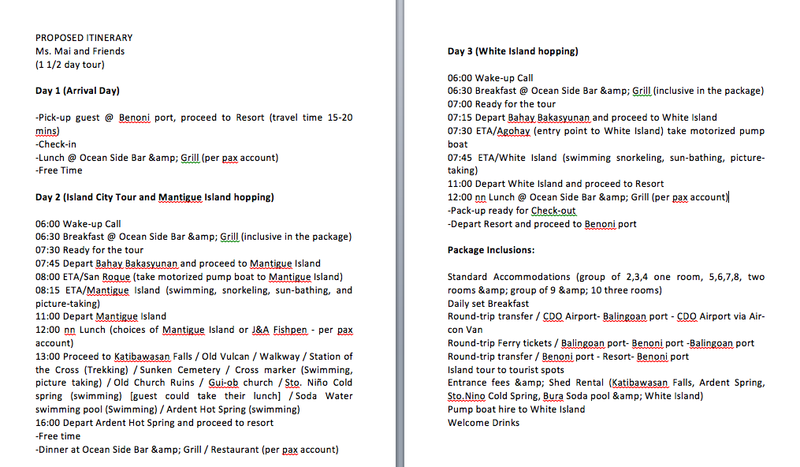 When I asked for an itinerary for our 3-day stay in Camiguin, he emailed it to me right away. 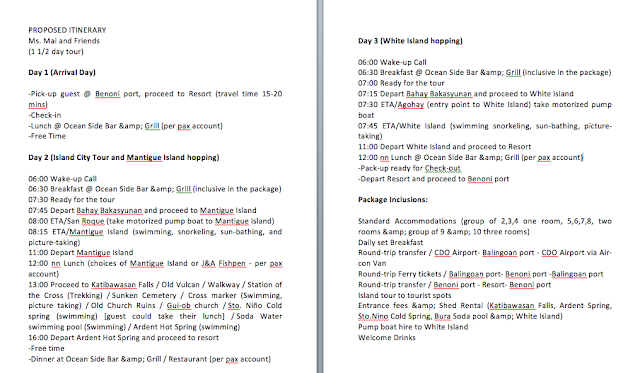 And when we finally arrived in BBC, he had a print-out of our proposed itinerary sent to our room immediately. Talk about going the extra mile! You might be wondering as to how I stumbled upon this beautiful tropical resort. 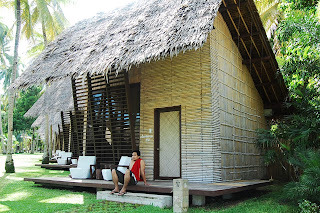 Well, I was reading through several travel blogs about CDO and Camiguin. 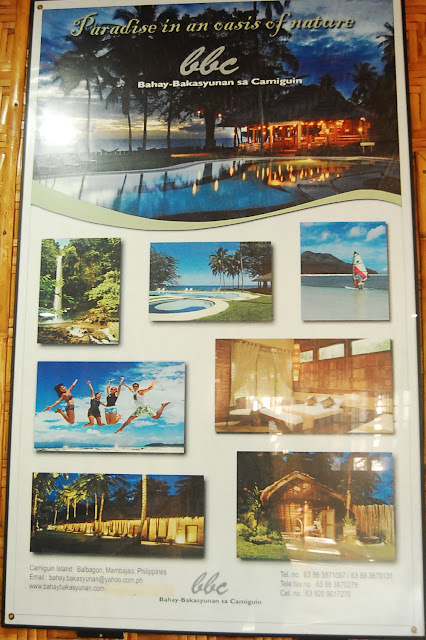 And this particular resort was frequently mentioned and was highly recommended. So I checked their website and was immediately blown away by the photos and facilities! But for a first look, one might say that their prices aren't that affordable. But for a group package, I would say that every feature was well worth spending on. The staff of BBC not only welcomed us wholeheartedly. 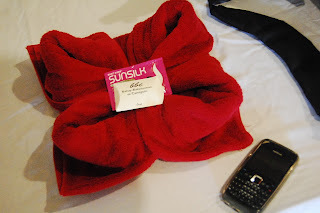 They also took care of our tour itinerary, our change of towels, and basically our every need (special mention to Sir Neil). They were all smiles when they greeted us, which always comes as a plus. 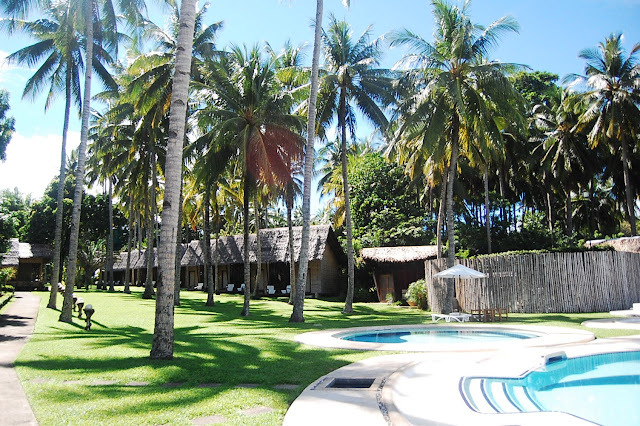 The resort surroundings were also very exquisite. Every corner was beautiful and was lovingly arranged. 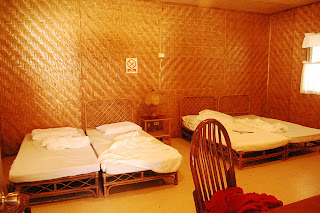 The design and architectural make of the cottages and other rooms were really well thought out. 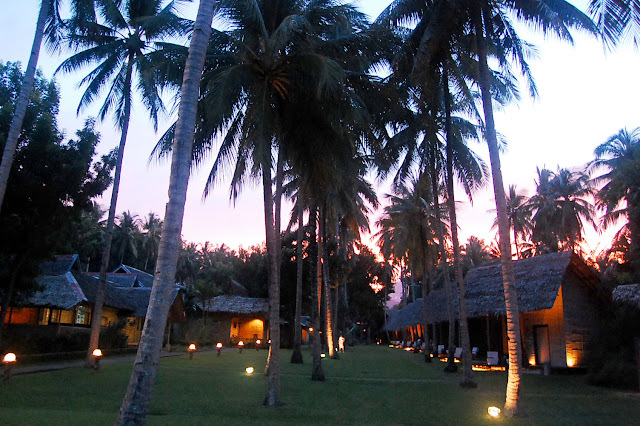 Even the placement of the palm trees that lined up the pathways of the resort were a sight for sore eyes. BBC had us entertained with so many of their facilities because we tried it all! 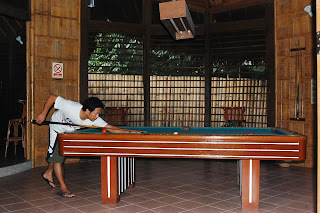 Rubel and I played Billiards and Table Tennis at their Game room. 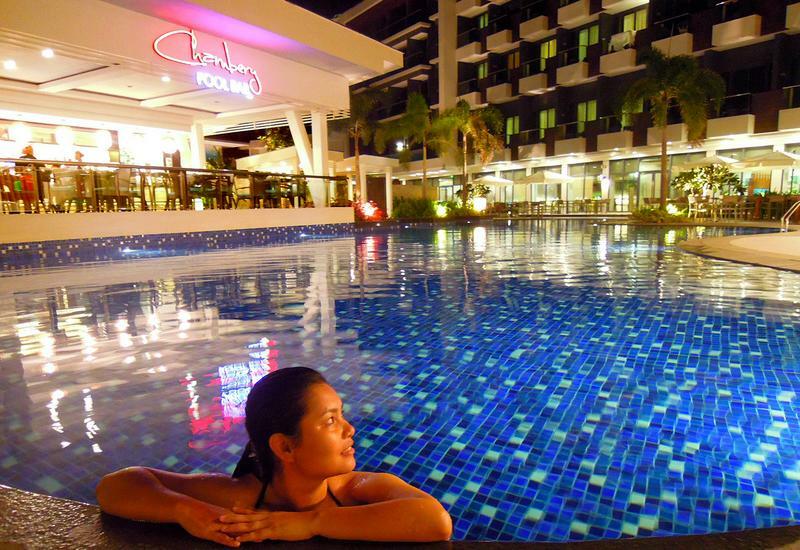 We also swam at their Swimming pool and Jacuzzi. 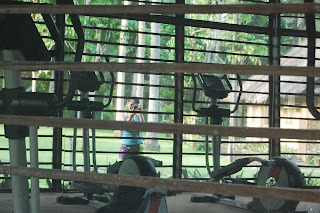 We also looked into (we didn't use any of the equipment) their Bahay Fitness Gym, as well as their Coco Souvenir & Gift Shop. 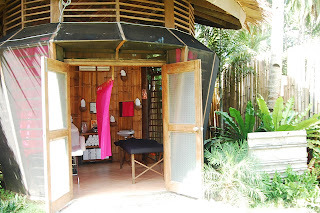 Although we didn't try their spa services, they still offered the use of their Mini Day Spa & Facial Massage Services. 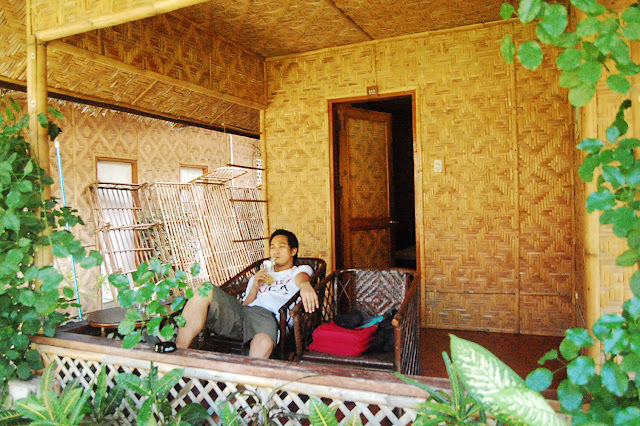 The room that we availed was quite spacious. 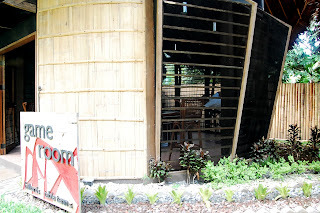 Ours was equipped with a hot & cold shower, Cable TV, Mini-Bar & Telephone. 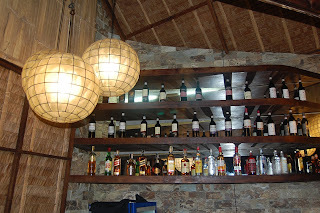 The patio, which Rubel and I I loved, was our hang-out place every night. They also have a 24-hour Standby Power Generator. 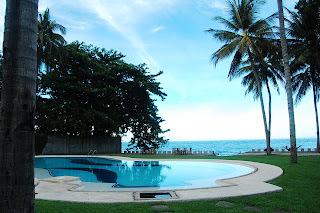 They also offer security services and a Wi-Fi Internet Broadband Network. 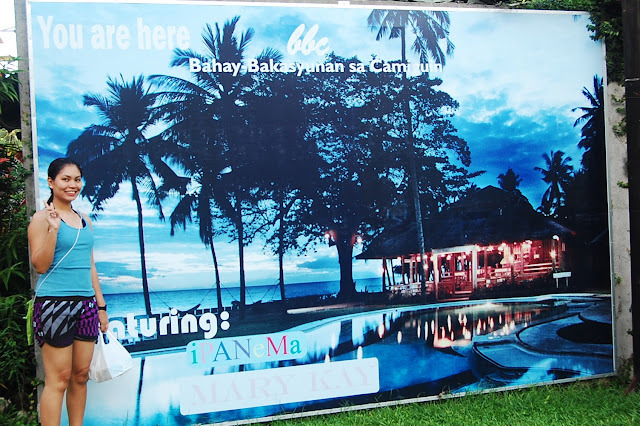 Aside from that, BBC also offers their guests the use of their Amakan Function Hall. 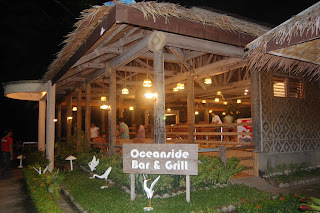 They even have their own Seaside Bar and Oceanside Bar & Grill Restaurant, which offers some of the most sumptuous International and Local Cuisines. what a life, spending time in a place like this, you forget all the worries in the big busy city.